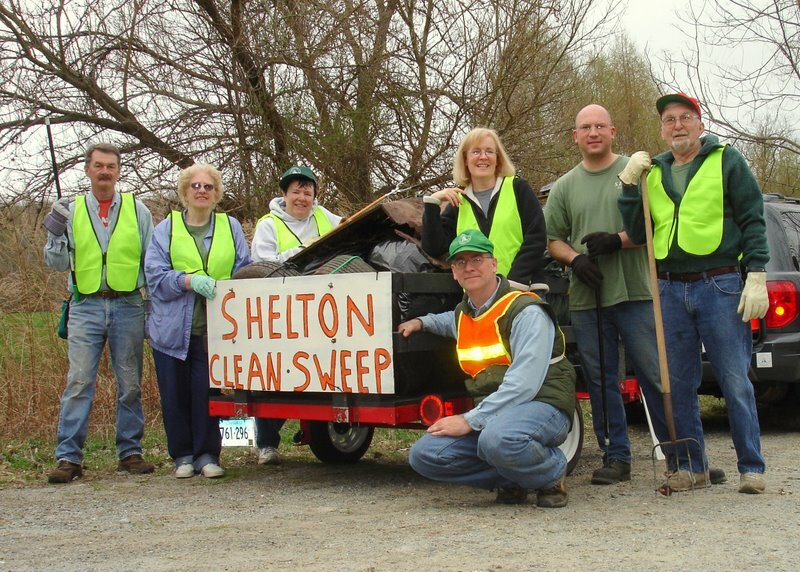 Thank you EVERYONE who took pride in their city and pitched in for Shelton Clean Sweep this year, whether that effort was registered with the City or not. The names below include only the people we know of - there were many others. Please see our photos from 2010 and photos from our Recognition awards event with the Mayor. Here's what Sheltonites cleaned up: Hundreds of large garbage bags filled with litter, dozens of tires, several tons of scrap metal, and miscellaneous items such as a newspaper vending machine, a toilet, a “huge Volvo machine filter”, a dryer, a couple of mufflers, a bicycle, tricycle, front end of a car, air conditioner, utility cables, PVC pipes, baby stroller, and other assorted debris. For hauling a large pile of scrap metal and tires out of the woods near Long Hill School. Mike had to first clear out an old woods road using a chain saw, and then had to cut an old trailer in half in order to transport it out. (Click photos to enlarge). 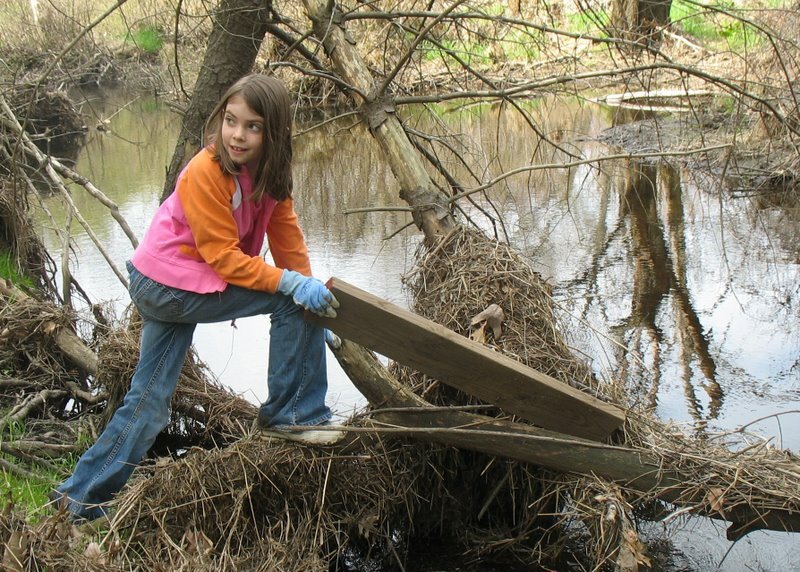 TestAmerica has cleaned Long Hill Cross Road for three years now, and donated Clean Sweep supplies. ShopRite donated bottled water for our Clean Sweep recognition event. "Best Buddies @ SHS & SIS"
Friends of the Shelton Libraries.